Being productive is extremely difficult, even if you're dedicated mentally to accomplishing all of your tasks and straightening out your life. 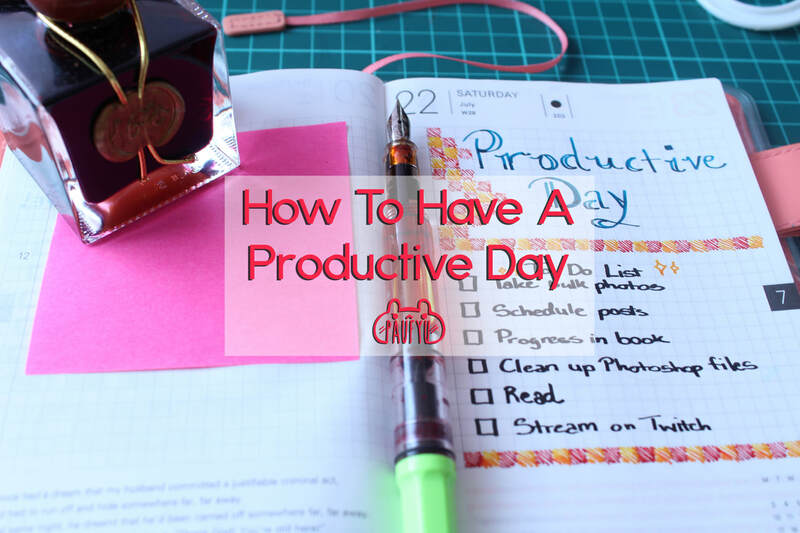 But even though this topic is the most touched on everwhere from blogs to universities, each of us may discover something new to help us maximize productivity during the day. Hopefully my experiences will help you make the most of your day. July, as you all might have known from my previous posts, was the month i was re-introduced to reading books and enjoying them. Here in this post you will find all of the books I've read this month with my brief opinions. I also have a post on books im going to read for August, if you're interested. Wondering what books I'm looking to read for the month of August? Look no further! I love sharing my first impressions on books before I even read them and well, some I just go in blind! I know I haven't posted in quite some time and some of you may be slightly disappointed its just an update post. But I just want to kind of give an update in regards to the direction I would like to take my blog and other general updates. Other than the basic "I want a great body for the beach" goals for summer, this list will be a tad bit different. ​If some of you don't know already, I LOVE fountain pens (any type of pen really) and inks. I dived into pen hell around June/July 2016 and I have a huge wishlist but so little money. But you need to treat yourself every once in awhile right?! Lets get started on my mini haul and goulet pens review! ​With every new year everyone sits down and think about how their year went, what they'd like to change for next year and maybe how they'd want their year to turn out. I usually dont have new years resolutions but this year I'll use it as motivation for a fresh start on the path that i'd like to follow! If you want to share your new years resolutions, feel free to comment or tweet me them! I have a love for art, modeling, archery. I am obsessed with horrors, fountain pens and asian-related things. Find me on my social media below!